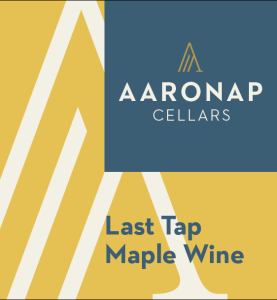 We began with our famous Forest Gold Maple Wine as a base and and allowed the fermentation to continue until the yeast had simply had enough. The resulting elixir is aged in a small used whiskey barrel for 10 months. The result…simply outstanding! Dark brownies, maple-smoked bacon, butterscotch Pot de Creme. Aging Protocol: 9 months in stainless steel then 10 months in an old whiskey barrel. The Berkshire Mountains in Western Massachusetts are blessed with plentiful stands of sweet sugar maple trees. In the spring, sap runs commence with the arrival of warm days but lingering freezing nights. We wait towards the end of the sap run to collect sap that will give the darkest grades of maple syrup after a 40:1 ratio concentration for the fullest maple flavor. Dark amber maple syrup was diluted and fermented cool with special yeast used for ice wine production. Fermentation is allowed to stop naturally based on the yeast tolerance, leaving delicious residual maple sugar. After 9 months in stainless steel, a small portion was reserved for further aging in a small volume used whiskey barrel for an additional 10 months.